John Wood attended St. Andrew’s College from 1964 to 1969, and is a member of the graduating Class of 1970. 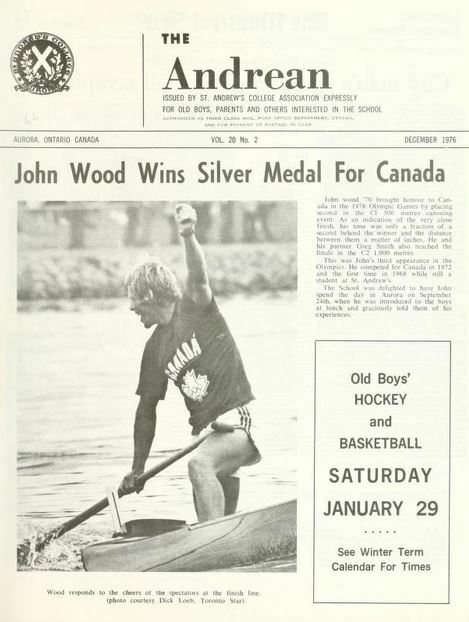 John won a sliver medal for Canada in the 1976 Summer Olympic Games in Montreal in the C1 500-m canoeing singles event, the first canoe medal for Canada since 1952. John competed and medaled in Pan Am Games and competed for Canada in the Olympics two other times: in 1972 and in 1968, the latter, while he was still a student at St. Andrew’s College.